Proximity to other land uses or geographic features can have positive or negative effects on property values. Amenities such as parkland, public transport infrastructure and scenic views often have positive effects on value, while disamenities such as landfills, traffic noise, and environmental contamination sometimes reduce property value. These effects can be direct, that is, for properties immediately adjacent to the amenity or disamenity; or indirect, where property values are affected by changes in the value of properties around them. Dr. Kimberly Winson-Geideman from the University of Melbourne’s Melbourne School of Design, and her colleagues, Dr. Andy Krause, Dr. Hao Wu and Dr. Georgia Warren-Myers investigated these phenomena by focussing on the Brookland Greens Estate in south-east Melbourne, which was affected by methane gas and carbon dioxide contamination from an adjacent landfill in the mid-2000s. As part of their analyses, the researchers investigated whether the events that occurred at Brookland Greens had an impact on property values for properties adjacent to other 10 other spatially unrelated landfill sites in Melbourne: whether was a non-spatial contagion effect on the housing market. The analysis involved looking at the potential impacts of different types of landfills (open, closed, and redeveloped) on the contagion effect. 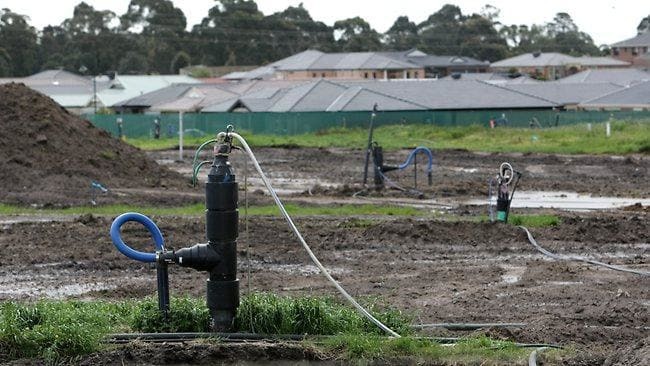 Dr. Winson-Geideman and her team showed that there was a significant 1.9% relative decline in prices for houses within 500m of the Brookland Greens Estate in the period after information regarding the leak of methane from the adjacent landfill was made public. However, the authors did not detect a systematic or consistent reduction in property values for residences adjacent or near to the other ten landfill sites across metropolitan Melbourne following the release of this information. Two sites – Narre Warren and Clayton – showed decreases in value, three showed increases, and five exhibited no relative change. The authors suggest that this may be due to the fact that the covered landfills are now occupied by land uses such as parks and golf courses, which may act to increase property values by providing amenity. Additionally, while the ten landfills were put on notice by the Environmental Protection Agency after the contamination, it is unknown how much of this information disseminated through local populations at the time, especially in areas where the landfill is now covered by other land uses. Given that both Clayton (open) and Narre Warren (covered, but unconverted) experienced a decrease in relative property values, while the other covered and converted sites did not, it is possible visible or tangible change to the amenity of a landfill site is likely to mitigate or prevent a contagion effect, while unchanged sites are more vulnerable to spatial non-contagion effects of an event that does not have a direct impact on the properties.